It seems Microsoft has a winning football game prediction program, even though it was never intended to be used as such, it has proven to be quite accurate so far. Their engine, Cortana, who was built as a means to compete with Apple’s Siri, has just become very useful for NFL fans that want to place a few bets, but don’t have the time to do all the handicapping. Of course, you could just use our Free Picks of the Week. 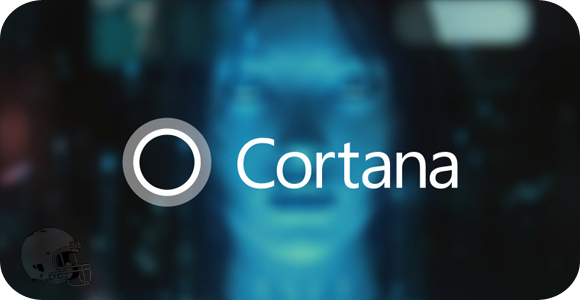 For Week 1 of the NFL games, Cortana managed to get a winning record of 13-3, making a killer start to the season. There were not many upsets, but what Cortana did manage to correctly pick was the victory of the St. Louis Rams over the Seattle Seahawks, which is impressive as the Seahawks were the clear favorites. The three misses the engine had were the Texans, Colts, and Buccaneers’ games, but overall it was an amazingly accurate week of picks. There are not many surprises, except for the fact that it picked the Bears over the Cardinals and the Bills over the Patriots. Some of the games are quite close when it comes to their chances of winning, so be sure to do your own research to prove it right or wrong. It is still impressive what Microsoft’s engine can do when it comes to football, and what waits for us in the future.